2014 brought a fair amount of good news for the IT sector of Pakistan. Not only did we see numerous startups and businesses launch in the country, but also a great deal of Pakistani startups managed to secure funding from local and international investment groups: A reminder for everyone that Pakistan is one of the hottest places for investment in Asia, and we have a report to back our claim. 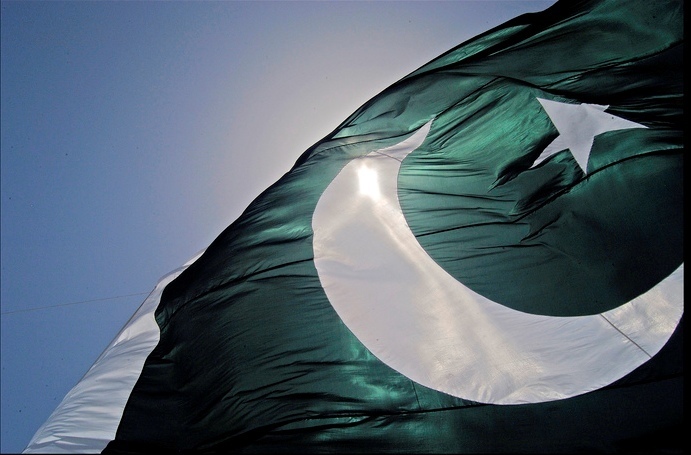 Earlier this year, TechJuice collaborated with World Startup Report to publish a startup report on Pakistan. The report clearly brought to light the immense potential and massive expected growth of some ventures in Pakistan which strengthens our belief that this land carries enormous opportunities in terms of business and investment. We have had our fair share of celebrating success stories of these Pakistani Startups throughout this year; let’s give you a recap of some of the major ones. PakWheels has been around for about 10 years but it was only this year they realized they need investment to grow and scale even more. Was it because of the pressure of their new competitor Carmudi? Only Raza Saeed, CEO PakWheels, can tell; whatever the case may be, the company has raised a huge investment to catalyse expansion. Malaysia-based Frontier Digital Ventures, with an aim to become the top investor in online classified businesses in emerging & frontier markets, invested $3.5 million in PakWheels. Having been found only in May 2014, this is one of FDV’s first and largest investments in the region. It also marks one of the largest capital venture deals for a Pakistan-based technology venture. Zameen.com started as a side project by two brothers at a time when Pakistani population was content with a 56K internet connection, and hardly anybody thought about buying property online. This head-start gave Zameen an inherent benefit and flash forward to 2014, the company has secured a major 7-digit investment from CATCHA group — the largest online investor in ASEAN Region, and Frontier Digital Ventures, the deal being the maiden investment for the latter. As a result of the deal, both investors received a substantial number of non-controlling company shares. Moreover, Patrick Grove, Co-founder & CEO of Catcha Group, and Shaun Di Gregorio, founder of Frontier DV, have joined Zameen team’s Board of Directors. Zameen styles itself as the country’s number one property portal, recently held Pakistan’s biggest property expo, and also celebrated 1 million visitors per month. Pakistan Software Houses Association for IT & ITES (P@SHA) recently announced the great news of launch of their upcoming incubator The Nest i/O. The Nest i/O technology incubator will be located at Karachi but P@SHA is planning to expand, and the target is more than 20 incubators in different cities of the country. P@SHA is not the only stakeholder in this plan: Samsung and Google both have partnered with P@SHA for this venture in addition to the support from US State Department. The amount raised for this venture so far is more than USD 1.372 Million, and Google and Samsung will provide more financial and technical assistance in the future. The incubator, apart from marking Google’s first ground investment in the country, has also attracted other organizations and individuals who will support the venture by investing as much as USD 250 thousand annually. The incubator will serve more than 50 startups, and will also provide co-working space to 700+ entrepreneurs in the first year of service. Eyedeus Labs’ first product—Groopic, a mobile app—was a super-hit of a level that CNN correspondents visited Pakistan to cover it and the very talented team behind Groopic. We had a conversation with Ali Rehan, CEO of Eyedeus Labs, in which he mentioned that Groopic was doubtlessly a huge success but this was not the end. The startup’s next project was Ingrain, a native video monetization service claimed to be a ‘breakthrough technology to disrupt the video ad service’. Ingrain definitely has some serious potential which led to Eyedeus Labs successfully securing USD 150,000 as convertible note funding from Kima Ventures, and later winning the Gold award in ‘Media & Entertainment Technologies’ category at APICTA 2014. Markhor is preserving and celebrating the 1,800 years old traditional craftsmanship of the Indus region by selling hand-made premium-quality leather shoes. When Markhor, previously Hometown Shoes, launched their Kickstarter campaign with a goal of 15,000 USD, quite a few were of the opinion that the startup has gone bonkers and they are going to fail. But not only Markhor succeeded in meeting their humble Kickstarter goal but also managed to raise over US$100,000 to fuel their brand new collection and the aim to support local craftsmen. Related: Markhor Has Launched its Kickstarter Campaign! Not only this, but the startup gathered a huge international media attention which brought both Markhor and Pakistan to spotlight. BookMe is a mobile and web application that lets you order cinema or bus tickets from the comfort of your home. You order the tickets from your mobile or the website, and get them delivered at your door step. The payment method is cash on delivery, the medium which almost every market-conscious online venture in Pakistan is using. BookMe’s founder and CEO Faizan Aslam represented the company at Startup Turkey, where he got linked up to the Turkish investment group Etohum. Following a series of meetings, discussions, and Etohum’s realization of the potential BookMe possesses, Faizan secured angel investment from the group. It’s to be noted that this is Etohum’s first ever investment in Pakistan. Founder of Etohum, Burak Büyükdemir appreciated the efforts of BookMe team, online entrepreneurs of Pakistan, and Pakistani startup incubators and accelerators for their efforts in helping boost the country’s startup ecosystem. What we would like to see is collaboration of Etohum with any of the startup incubators or accelerators in Pakistan so as to keep the investments flowing. FRAG Games is a games development studio based in Lahore, aiming to create amazing 3D games for mobile phones and tablets. Housed at Arfa Karim Software Technology Park, the FRAG Games team boasts 50+ years of combined development experience, and recently started a services wing as well, so as to keep the light on for long. We met with the founders earlier this year to talk about the startup, the culture, and how did they manage to raise investment from Pakistan. What followed was a very interesting and thought provoking conversation. We found out that the company has raised USD 400,000 in angel funding from local investors alone, debunking the myth that the Pakistani investors are not interested in making serious investments especially when it comes to technology ventures.